As the Program Director for Aix-en-Provence, Vivienne Hamill is responsible for day-to-day management including student services, host institution relations, local vendor relations, program academics, and student evaluations. Vivienne also advises students on issues related to academics, cross-cultural information, and health and wellness, assists in management of city finances, and hires and trains staff. 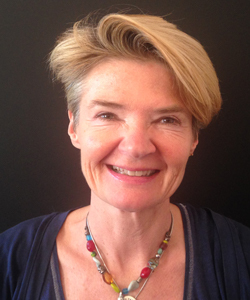 Originally from Northern Ireland, Vivienne has dual British/French nationality and has lived and worked in Aix-en-Provence for over 35 years. She’s worked in a variety of fields: accountancy, the documentary film world, organization of jazz concerts with international artists throughout France, and real estate in Ibiza, Spain to mention a few. She also ran her own international mail order company from Aix-en-Provence selling Provençal products. Vivienne specializes in Teaching English as a Foreign Language and taught in various institutions in Aix before discovering the world of study abroad. She has been running the Aix-en-Provence program with CEA since 2001 and thoroughly enjoys interacting with students and helping them through this life-changing experience. Vivienne received a BA Hons in French Studies specializing in Translation and Marketing from the University of Portsmouth in England, and a Post-Graduate Diploma in Teaching English as a Foreign Language from the University of Ulster at Coleraine. Vivienne speaks French fluently and has a working knowledge of Spanish. Nancy organizes immersion activities for students—including language exchange meetings, volunteering placements, and sports activities—addresses student questions, coordinates medical appointments, and helps processes health insurance claim forms. Nancy serves as students’ primary contact for housing; she identifies housing providers, carries out student placements, and follows up on housing issues. She also provides program support for arrival, orientation, and excursions. 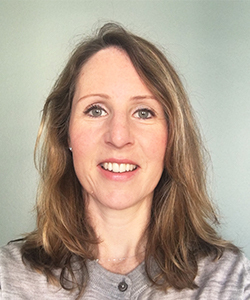 Originally from England, Nancy first moved to France in 1995 where, as part of her university degree, she worked as an English Language Assistant in a French high school in the Pyrenees, before working in Paris for six years. She moved to Aix-en-Provence in 2003. Nancy has experience working in areas including tailor-made luxury travel, organizing British ministerial visits to France, PR, communications, and teaching English as a foreign language. Prior to joining CEA in 2014, Nancy provided concierge services to U.S. and British visitors throughout Provence. Nancy received a B.A. Hons in Modern European Studies from Nottingham Trent University and speaks French fluently.